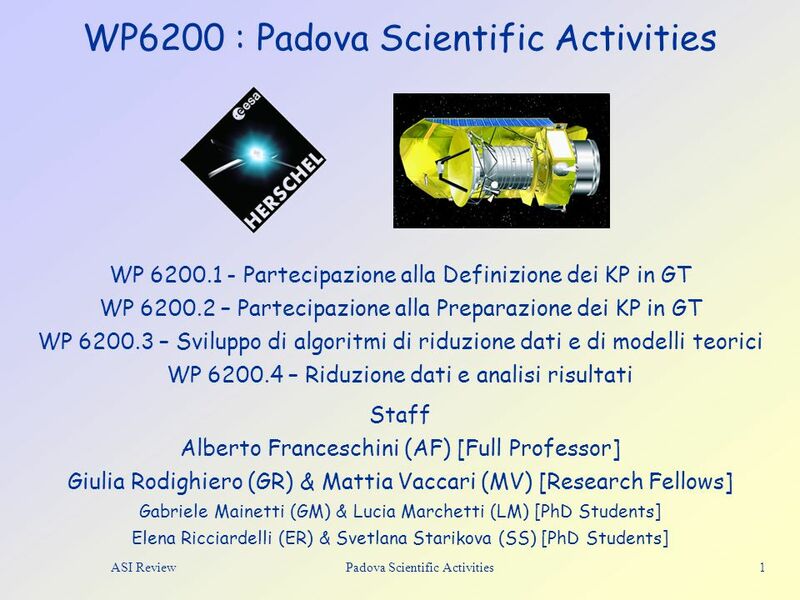 Download ppt "ASI Review Padova Scientific Activities 1 WP6200 : Padova Scientific Activities Staff Alberto Franceschini (AF) [Full Professor] Giulia Rodighiero (GR)"
GALAXY EVOLUTION OPTICAL AND IR SURVEYS Lucia Pozzetti INAF Osservatorio Astronomico di Bologna. 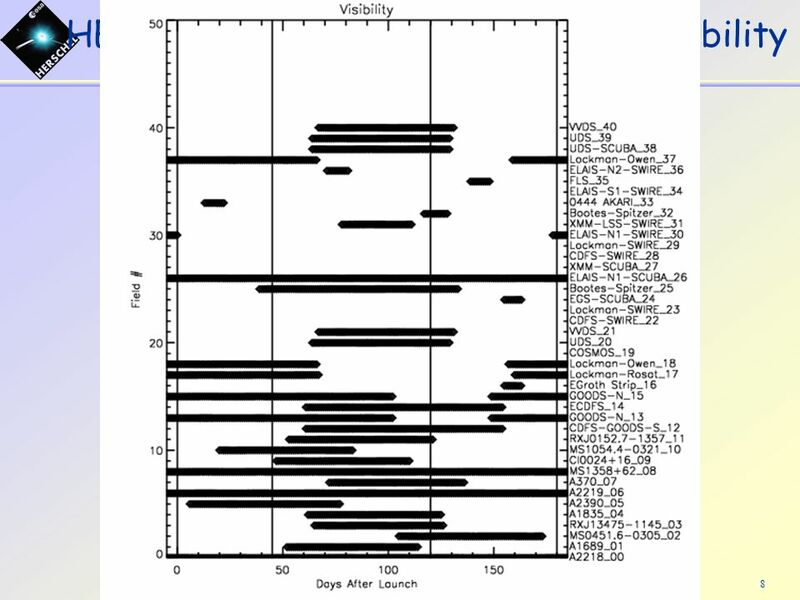 Herschel observations: contraints on dust attenuation and star formation histories at high redshift Véronique Buat Laboratoire dAstrophysique de Marseille. 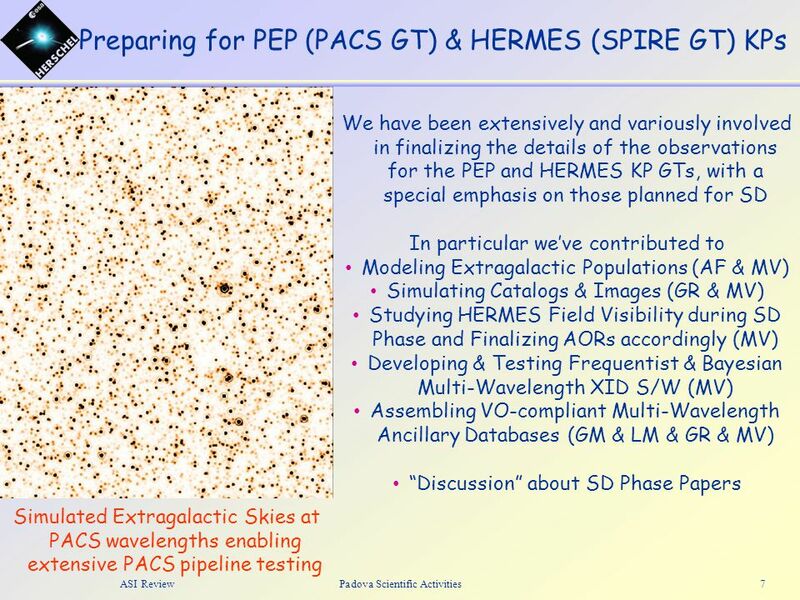 Multi-wavelength Observations of Galaxies at z>~2 Mauro Giavalisco (UMass) + The GOODS Team + The COSMOS Team. 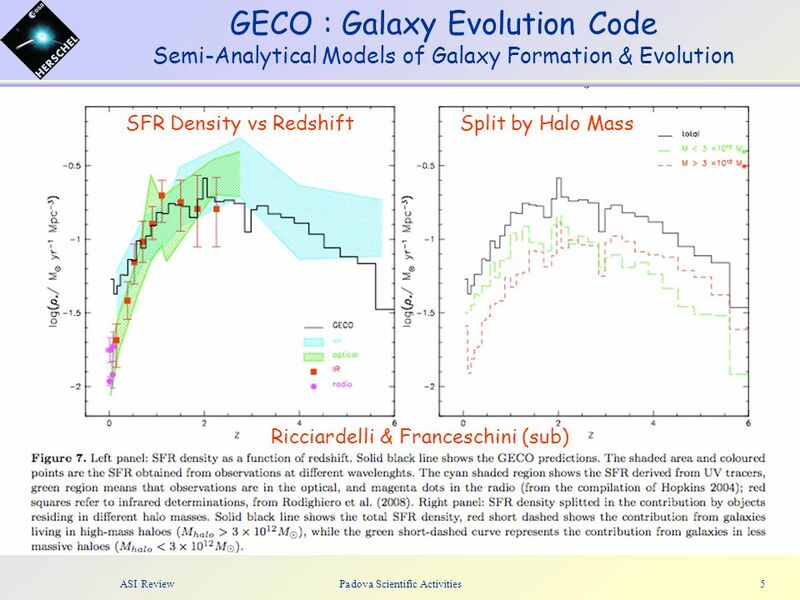 Extragalactic Confusion Limits in Herschel Key Programs Mattia Vaccari & Alberto Franceschini & Giulia Rodighiero & Stefano Berta Department of Astronomy. 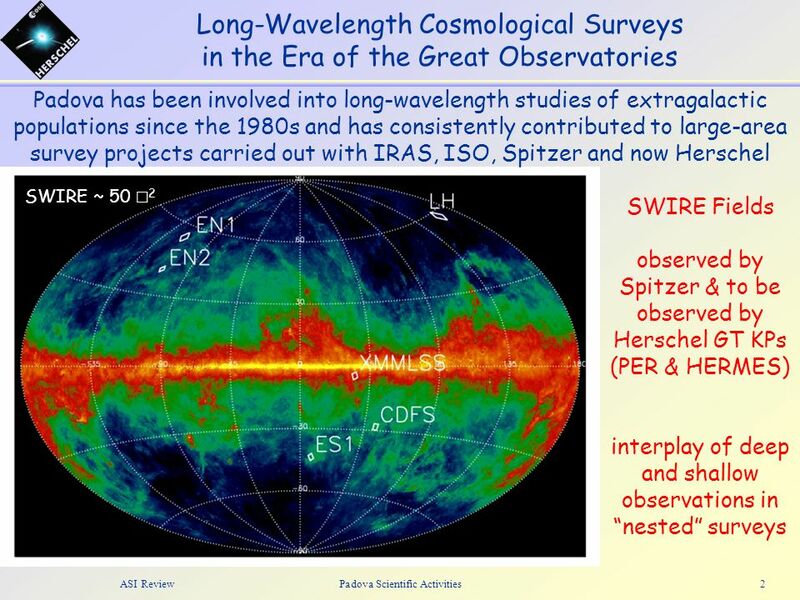 The CFHT- Legacy Survey Elisabetta Semboloni Argelander Institut für Astronomie. 3A03 – GR and Cosmology Ralph Pudritz Dept. of Physics & Astronomy McMaster University. Predicting Herschel & SCUBA2 Confusion Measuring “Fluctuations” & “Counts” Mattia Vaccari & Alberto Franceschini & Giulia Rodighiero & Stefano Berta Department. 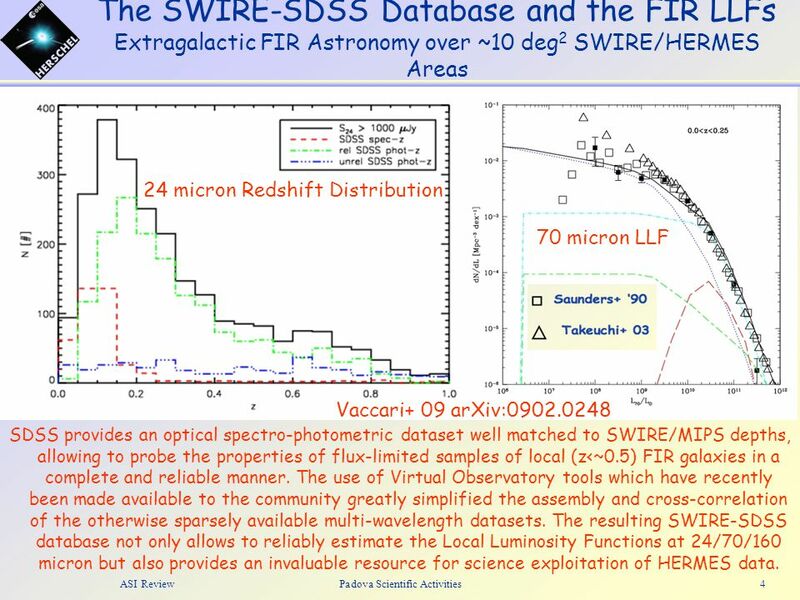 Optimal Photometry of Faint Galaxies Kenneth M. Lanzetta Stony Brook University. 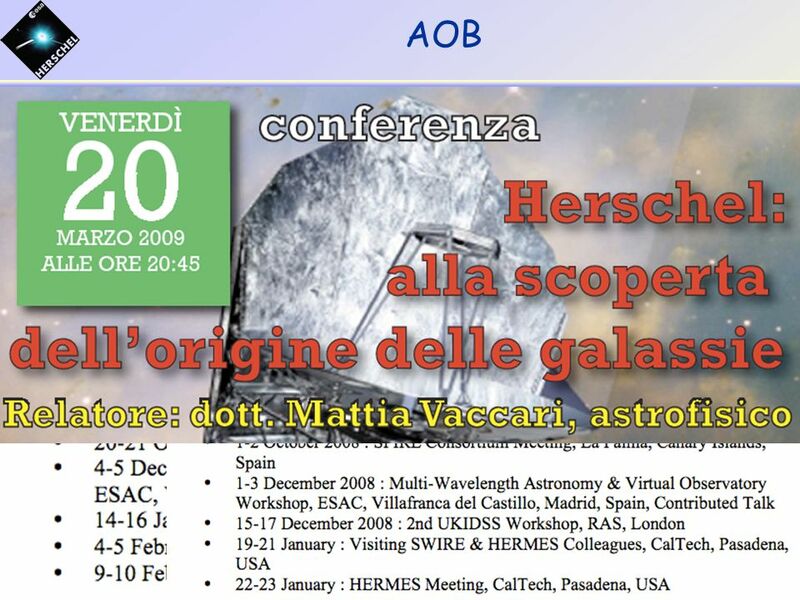 Extragalactic science with the Herschel Space Observatory Marc Sauvage CEA/DSM/DAPNIA Service d'Astrophysique UMR AIM. The SIRTF SWIRE Survey SWIRE is a shallow/moderate depth survey of ~70 sq. degrees in all 7 SIRTF imaging bands 5  sensitivities: 17.5 mJy 160  m 2.75. A Bolometric Approach To Galaxy And AGN Evolution. L. L. Cowie Venice 2006 (primarily from Wang, Cowie and Barger 2006, Cowie and Barger 2006 and Wang. 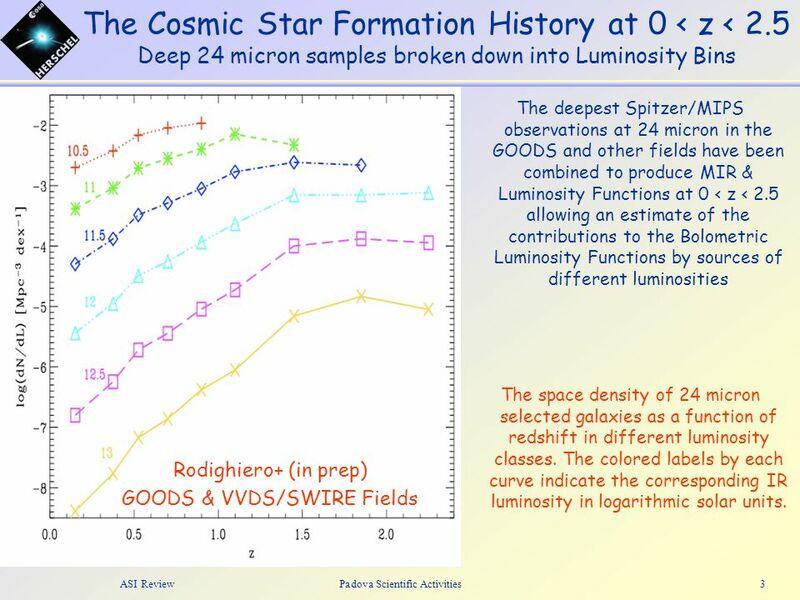 Measuring the Diffuse Extragalactic Background Light as a function of redshift Cosmic History of Star Formation: Holy Grail of Observational Cosmology. Measuring the clustering of galaxies in COSMOS Measuring the clustering of galaxies in COSMOS Olivier Le Fèvre, LAM Why ? Why ? How ? correlation function. 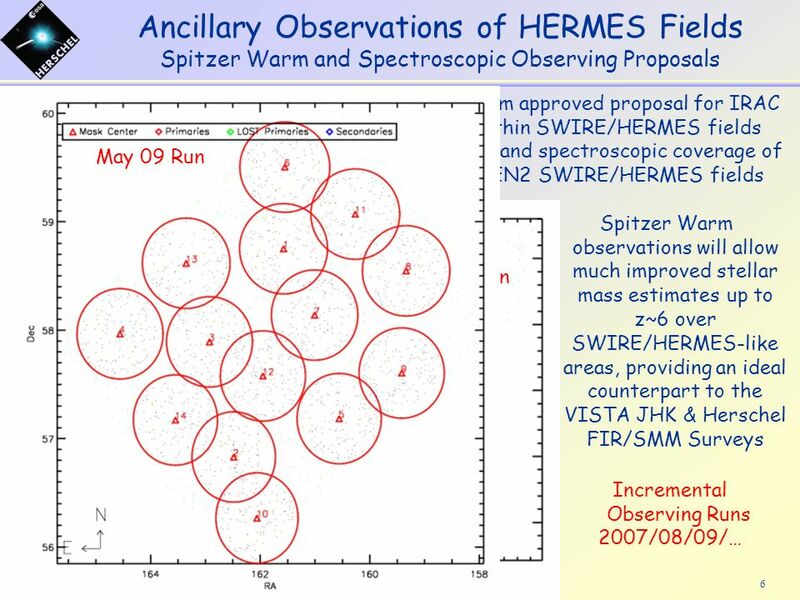 JuIn-2006Hervé Dole, IAS - Spitzer and the CIB1 Spitzer and the Cosmic Infrared Background Hervé Dole [w/ K. Caputi, G. Lagache, J-L. Puget et al.] Institut. ASI Review Padova ICC Contribution 1 WP3000 : Padova ICC Contribution Staff Alberto Franceschini (AF) [Professore Ordinario] Giulia Rodighiero (GR) [Ricercatore.